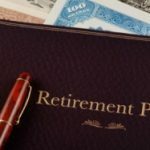 Auto-enrollment in retirement plans. The administration plans on clearing up some of the bureaucratic hurdles that make auto-enrollment a challenge for small and medium-sized employers. Tax refunds as savings bonds. To encourage savings amongst those who receive a tax refund, you’ll be able to elect to receive your refund in the form of savings bonds. Convert unused sick/vacation days to 401(k) contributions. The White House intends to make it easier to convert unused sick and vacation days into 401(k) contributions. Note that these changes aren’t forcing anything on employers, they’re just clearing the roadblocks that might be discouraging employers from doing these things. Moreover, these are largely technical changes, and thus don’t require legislative approval. As for the changes themselves… The first and third sound great. The second one, on the other hand, seems kind of pointless. While it won’t hurt anything, I can’t imagine very many people taking advantage of it. Heh. Tax refunds in savings bonds. So, you can loan money to the gov’t interest-free for a year, then get it back in the form of an IOU, which is essentially what a savings bond is, to be called in 20 years. Neat! It’d be nice to convert unused vacation days to 401k contribs, but 1) I have to use it all in the same year and 2) all of us are being forced to take the last two weeks of the year off whether we like it or not, so that uses up all of my vacation days plus a few from next year as a June hire, and there isn’t even the option of taking unpaid days off, which would be fine with me. All three are bad ideas. So now employees will be able to do what they are already able to do, just now the lazy will default to saving a little rather than not saving. Why not actually try to help those who are trying to help themselves? 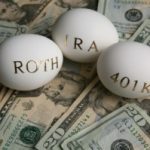 Clear the real “roadblocks”, like the fact I can only save $5K in my IRA when people with good employers (some of whom are even given matching contributions) can save 3 times that much. Why can’t someone who is not self-employed, but whose employer does not offer a 401K, get a opportunity in the tax code to put more away? Reminds me of all the ways they are “trying” to make my private health insurance affordable, but they still don’t allow me to deduct my premiums, even though the premiums of employer-provided plans are usually deductible. My last job, we could only roll over 80 hours of combined sick & vacation pay, and there were 3 weeks out of every quarter when nobody could take vacation, and only a certain number of people could have off at any one time (which is reasonable)…so lots of people lost vacation time they couldn’t use. It was ridiculous. Screw that. No job that offers you a benefit and then pressures you not to use it is worth having. @Greg – Yes, that rings a bell! I went to the last board meeting at my smallish non-profit employer and was totally perplexed by that. Now, how to suggest to my change-resistant organization that this would be an expeditious way to clear this liability from our books? From a business perspective unused vacation remains an outstanding liability on the books. It seems that public companies especially would want to find any way possible to encourage the use of this time…. sadly, few want to pay you for it. I once worked for a small company that would pay for unused time. Almost everyone took advantage of it and the company saw it as a win, they got your continued productivity. I like working, give me the cash! Wow, what companies allow you to trade your paid time off for cash? I’d do that and roll it into my 403(b) in a hot minute! Vacation days are like airline miles. Better use them before you lose them! Seriously, there is no shame taking all your vacation days. One should take at least 75% of them every year, particular due to the carry over policies. California forces employers to pay for 30 days of vacation (1month salary) if that is what you accumulate and then leave. Debbie: Correct. Like I said above, they’re not forcing anything on employers, just streamlining things so it’s easier for people to save for retirement. My husband is working for a company that has a use-it-or-lose-it policy with regards to vacation. On paper, it seems like everyone would use it, but in this economy and in this company, there is unsaid pressure to not take vacation time. He has to take 1 week per quarter of UNPAID time off (cannot use vacation time) and beyond that, they’ve made it clear that he shouldn’t take much more than that (not on paper, of course, just the “feeling”). He likes this job and wants to keep it, so that is just the way it is right now. We did lose a sizable chunk of vacation time last year as a result, so I would love to have the option of rolling it to a 401K if his company were to offer it. I wish I could convert some of my vacation time to a 401k contribution. Our company does a combined sick time/vacation time account and it adds up quickly. Luckily, we are allowed to roll the time over from year to year. There is a cap on the total amount of time you can have. Ah yes, the big mystery. When you’re 22, and making $50,000 a year, you can only contribute $16,000 to your 401k. Yet, when you are 45 and make $250,000 a year, you STIll can only contribute $16,000/yr? Thanks government for encouraging us to save! You’re going to take away our pension money, and now you’re reducing our 401K contribution? This the principle of the consent default option, and there are a host of things in our society — such as being an organ donor — which would work much better if the default were the consent.